Peter O'Toole was born in the most beautiful places of Connemara -Kanimar. There are two versions of the date of his birth, as well as the fact that he received two birth certificates, one was dated June 1932, the second - August, one issued in Ireland, the second - in England, because his parents moved his young son to England and his childhood passed in the industrial town of England Leeds - Leeds. Later the actor spoke of himself: "I did not come from the working class, I left the underworld." 'The Leeds environment was not just' difficult ', forgive the tautology, it was criminal. Three of the friends of his childhood, with whom he played, became criminals and were hanged for murder. His mother Connie, a Scotch by birth, instilled in her son a love for books and reading, but his father, Patrick, a bookbinder by occupation, and an alcoholic in combination, had a much greater influence on little Peter. His understanding in the education of his son and in cultivating him as a man was very peculiar. Once he put the little Peter on a shelf above the fireplace and said: "Jump, son, trust your dad! I'll catch you ... '' When Peter jumped down, his father spread his arms and Peter fell face down on the stone floor. The lesson was this, as his father explained this cruel deed: "Never trust any bastards on the ground." It's hard to say whether the daddy drinking showed an example to the maturing Peter or O'Toole himself could not stand the materialism of this life without a definite the number of alcohol promises in their veins ... Once, after visiting his son in London, Patrick O'Toole found Peter lying on the floor in a hotel room, drunk to bits. His father tried to lift his son off the floor and drag him onto the bed, but without success. Eventually, he joined Peter and settled himself on the floor next to the bottle in his hand. This '' sweet couple '' is often seen, drinking together. Soon after Peter O'Toole had said goodbye to the Yorkshir Evening Post, he was called to serve in the Navy of Her Majesty the signalman. One day one of the officers asked him what he would like to become, and Peter O'Toole answered that he always felt the urge to be a poet or an actor. 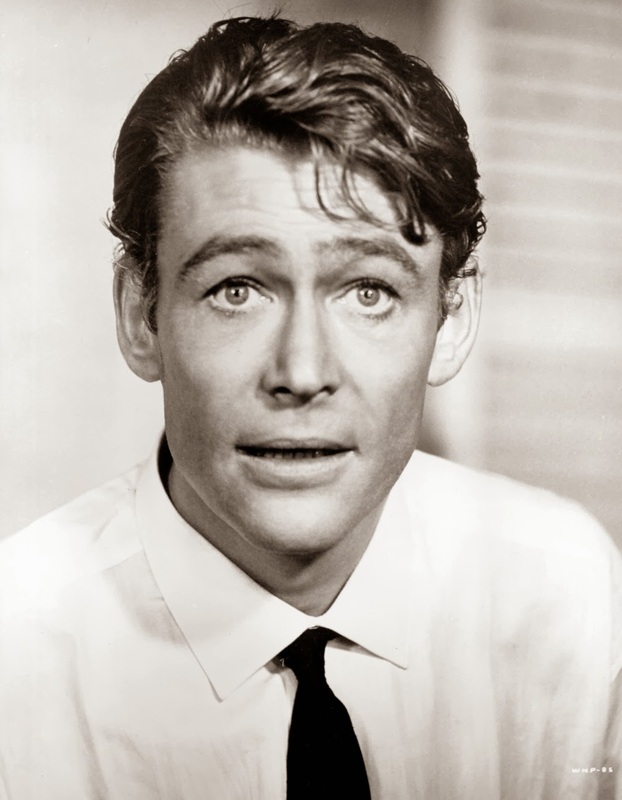 From 1952 to 1954 Peter O'Toole attended the Royal Academy of Dramatic Art (RADA) after he was rejected by the famous '' Abbey Theater '' in Dublin because of ignorance of the Irish language. According to Peter O'Toole himself, the class in which he studied for a few years in the art of acting was the most unforgettable in the Royal Academy, and indeed, other talented actors came out of the same issue, which later became equally famous and recognized. He began to play on the stage of theaters and very soon was recognized as an unsurpassed dramatic hero in Shakespeare's plays ... But playing the role of Thomas Edward Lawrence, an English officer whose personal involvement in the rebellion of the Arab tribes in the war against the Ottoman Empire in 1916-18 is impossible to overestimate, in the same film by David Lean - David Lean - brought him fame all over the world. The role of Lawrence, which was rejected by Marlon Brando and Albert Fini, is hard to imagine in anyone else's performance, now that we are watching this film ... The role of Lawrence in the film "Lawerence of Arabia" was noted as the best among 100 others presentations by the magazine '' Premiere '' and brought the young O'Toole his first award as the best actor. 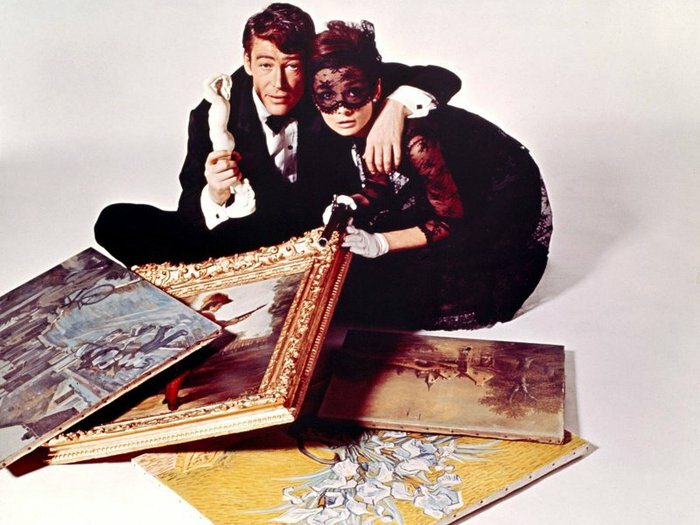 Peter O'Toole quickly became a mega-movie star, and in my opinion, this is perhaps the only actor who can forgive all the "quirks" of world-famous stars that many famous artists, singers and other creative people sin, and that does not cause other feelings, as soon as irritation, if you agree in this with me. In my opinion, his natural eccentricity, coupled with the originality of his thinking, is absolutely natural for his behavior as a small but very capable child who is still ... just small ... and so he gets away with everything. Peter O'Toole became the first and only as yet an actor who was twice nominated for Oscar - for the performance of the same role of King Henry II - The King Henry II - in two different films: '' Becket '' in 1964 and '' The Lion in Winter '' in 1968. 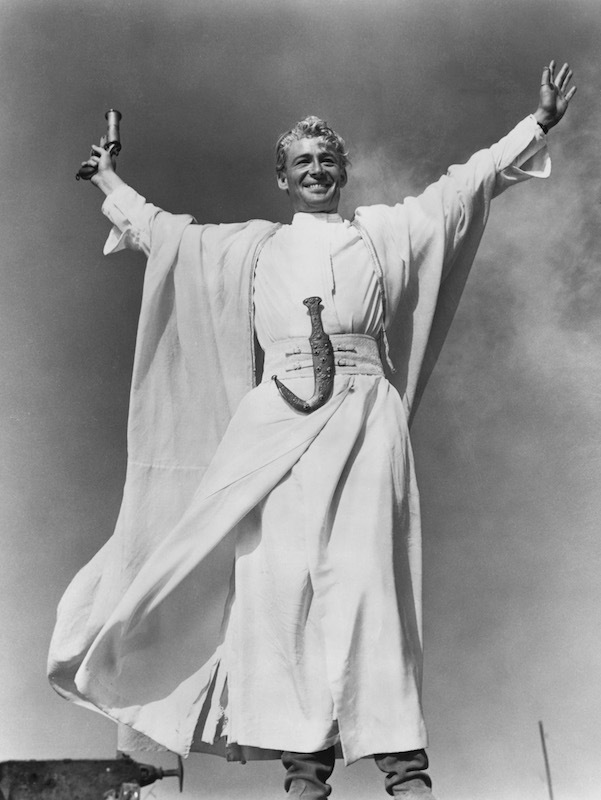 During his long acting career, Peter O'Toole was nominated 8 times for the Oscar award, but never received this prize. But in 2003 the Academy of Art awarded Peter O'Toole the Academy Honorary Award for his outstanding contribution to the world cinema, thereby singling out Peter O'Toole among all the other famous artists of the past 20 and 21 centuries, to which The 70-year-old artist reacted in his usual manner, sending a letter to the Academy with the words: "Guys, I'm still in the game!" I deliberately chose this photo from a very short episode of the film, in which the only assistant on the island, a French engineer who is brilliantly played by Philippe Noire, left by his company at the post to guard all technical equipment, and who at the beginning of the film tells Murphy that he asked for to the war to fight the fascists, but the company did not let him go, and now he leaves Murphy and walks along the river bank, in fact, throws his friend, because the radio just announced the end of Second World Warfare, and Murphy looks after him and tries to get him back: "I can not manage without you!" 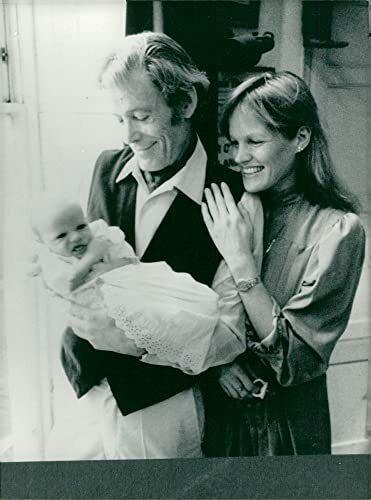 Peter O'Toole plays the Irishman, I see the manifestations of the actor's personal qualities - his unconditional romanticism, as a deep, sincere belief in the values ​​that are inherent in all honest people, wherever they live and whatever religion they profess. 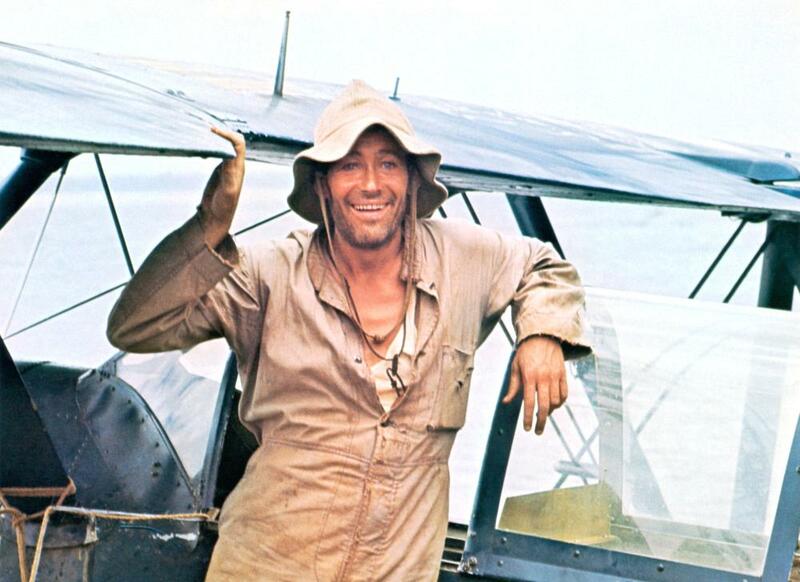 You do not need to be Peter O'Toole to fight your own every day, if we want to achieve something in this life and change this world for the better. - Petrified - he answered. - Because there is no future in it - he said. I disagree at this point with the Great Actor and Great Man - I believe tha Peter O'Toole did leave the future, not for himself but for all us - the people who are living now and who will be living years and years more. And our ''Thank you'' will be never enough to express all our gratitude to the Great Irish Actor. You can not forever say ''goodbye!'' to those, who are in your heart , while you are alive yourself in this world.